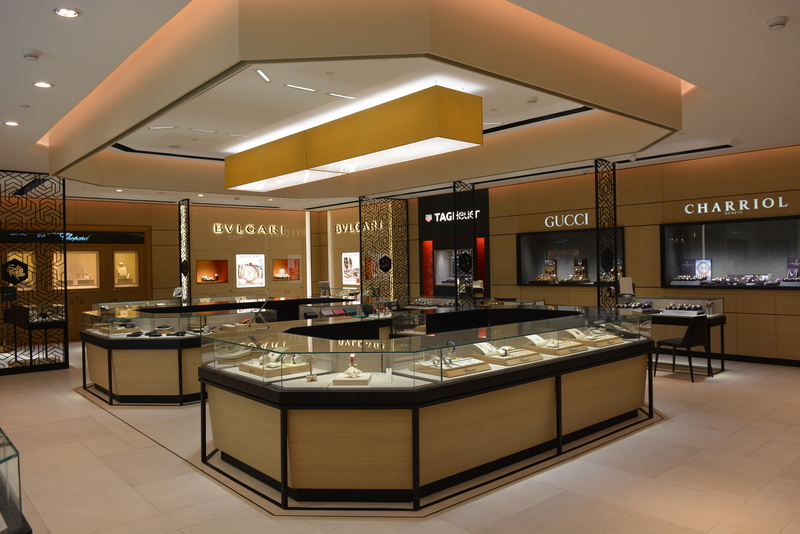 Trafalgar is a brand known globally for its rich history, outstanding reputation and luxuriously high quality. 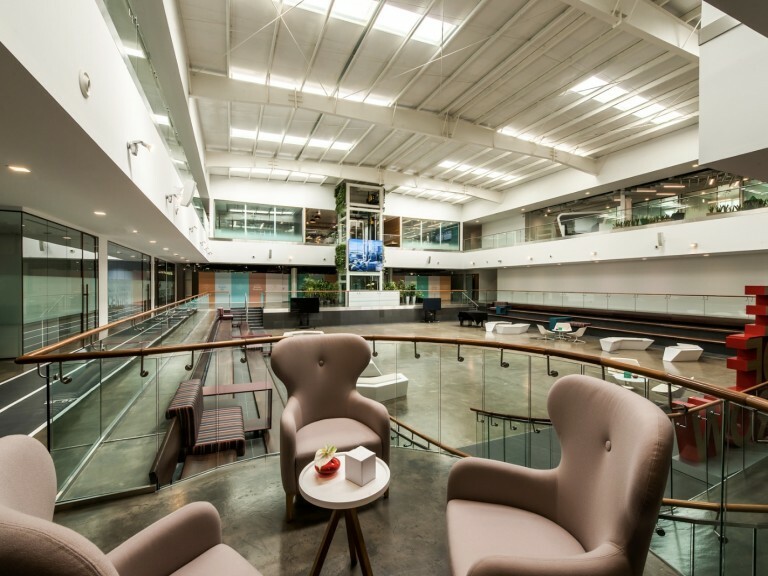 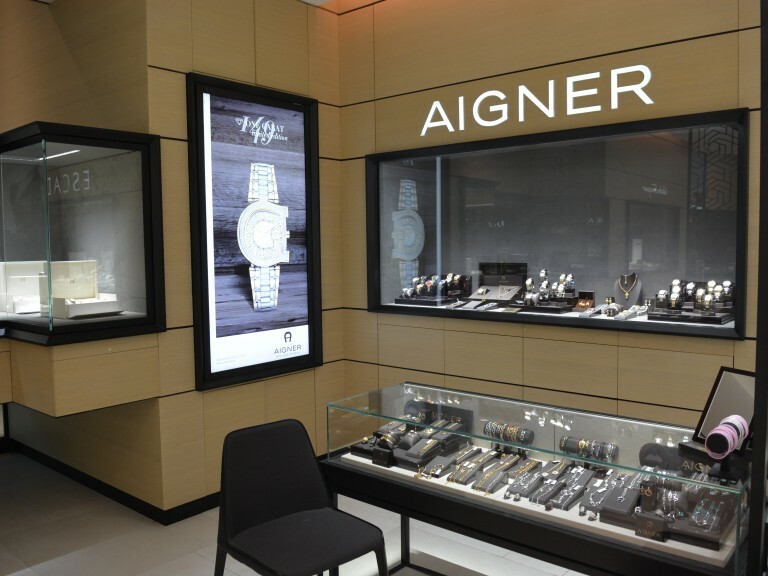 The company built the brand focusing on timepieces and jewelry, but Trafalgar has over the past decade entered the world of fashion. 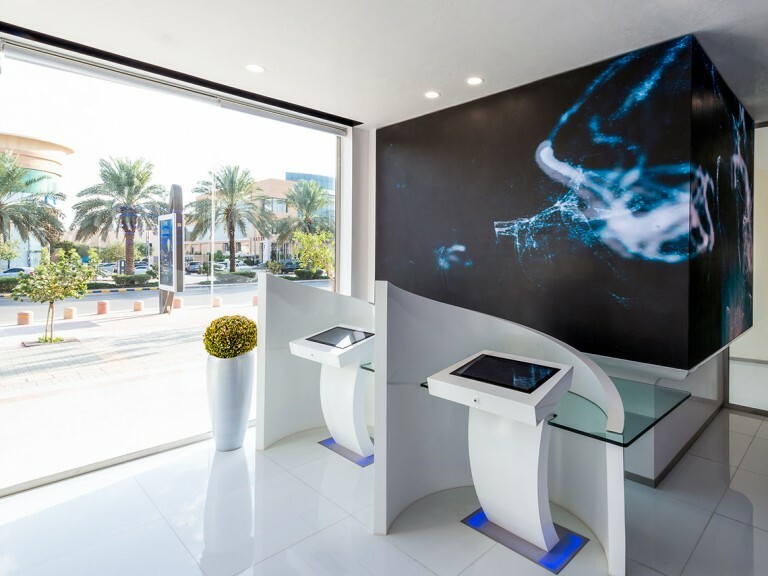 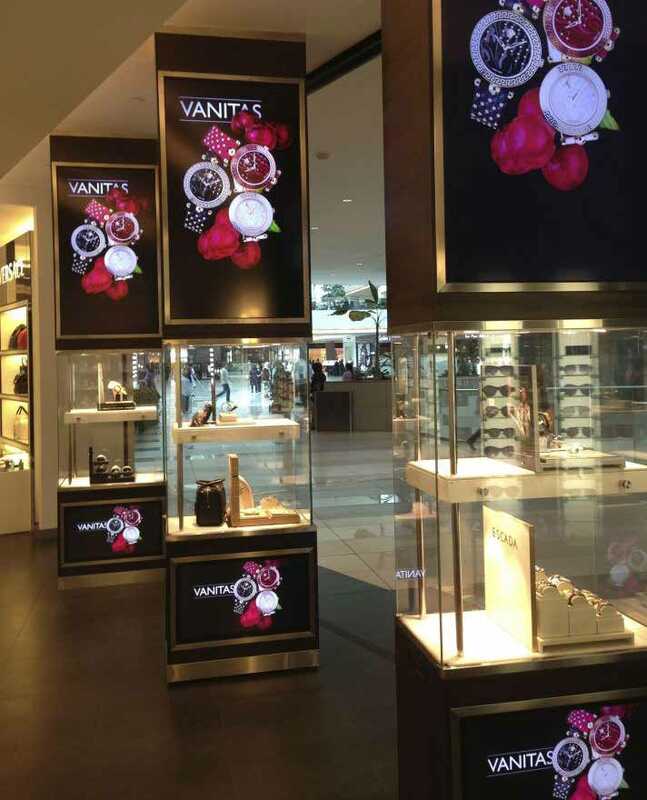 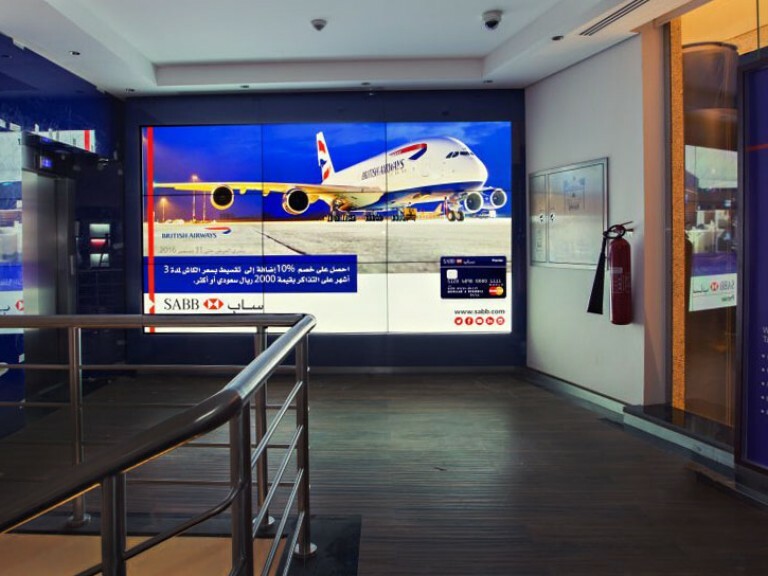 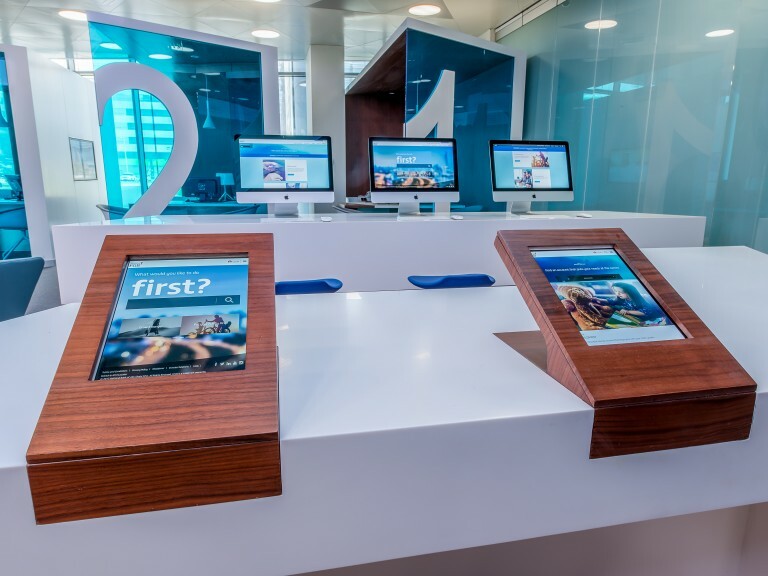 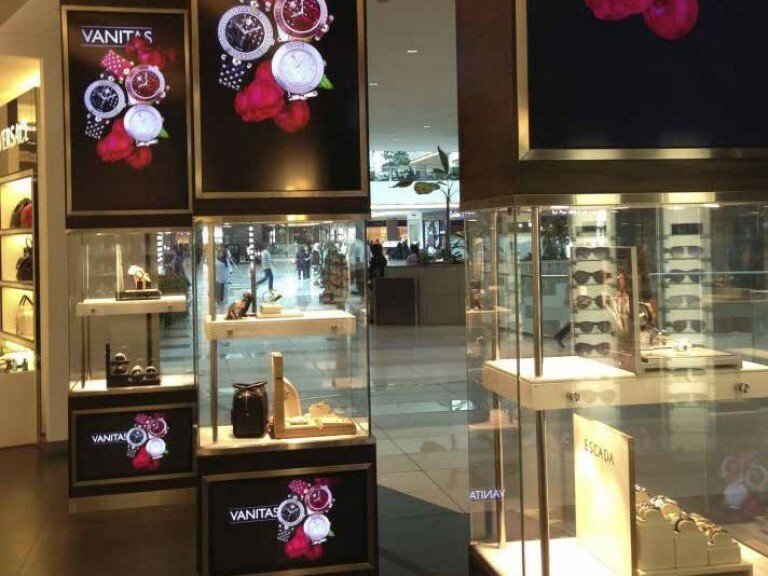 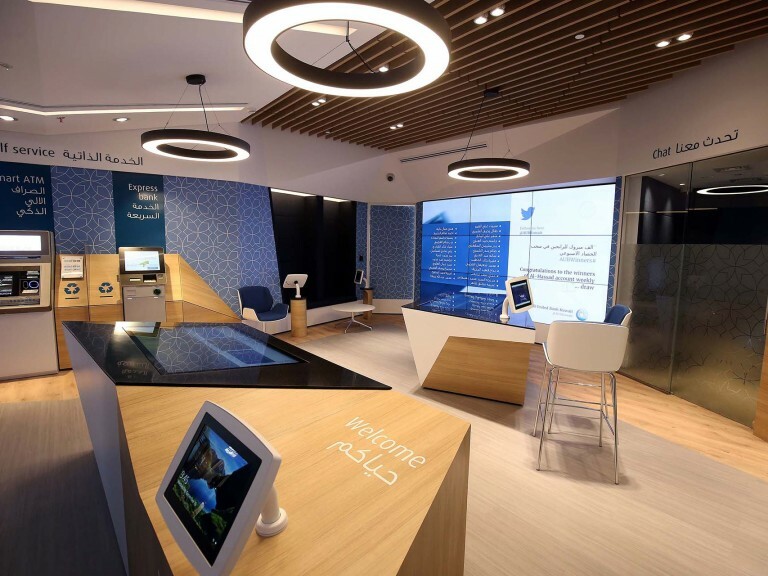 2.0 was engaged by Trafalgar to deliver a digital signage solution at its store in the Avenues - one of Kuwait’s largest shopping malls. 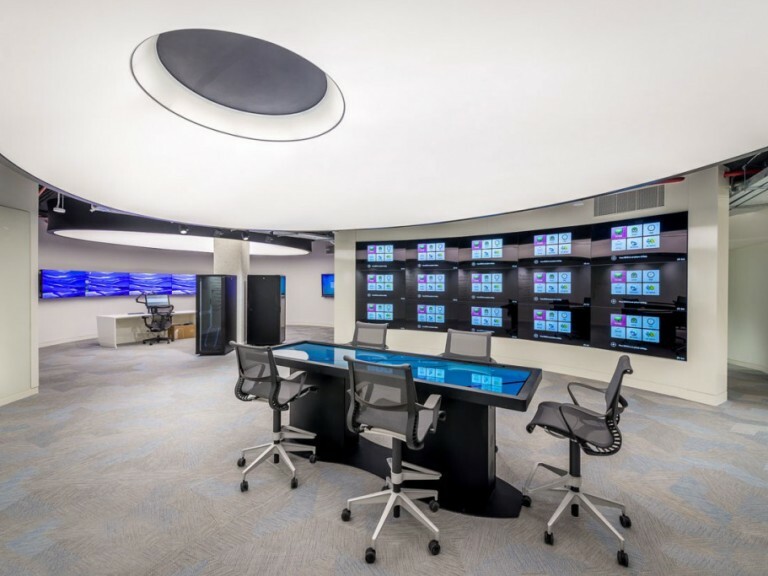 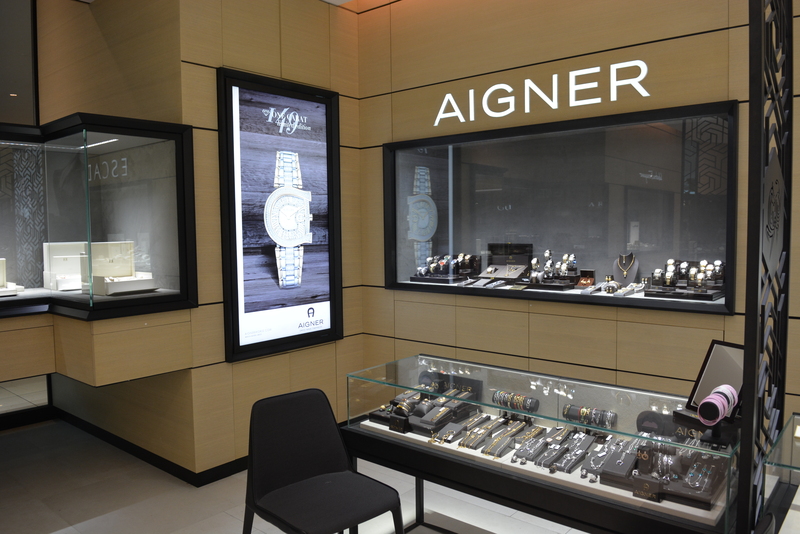 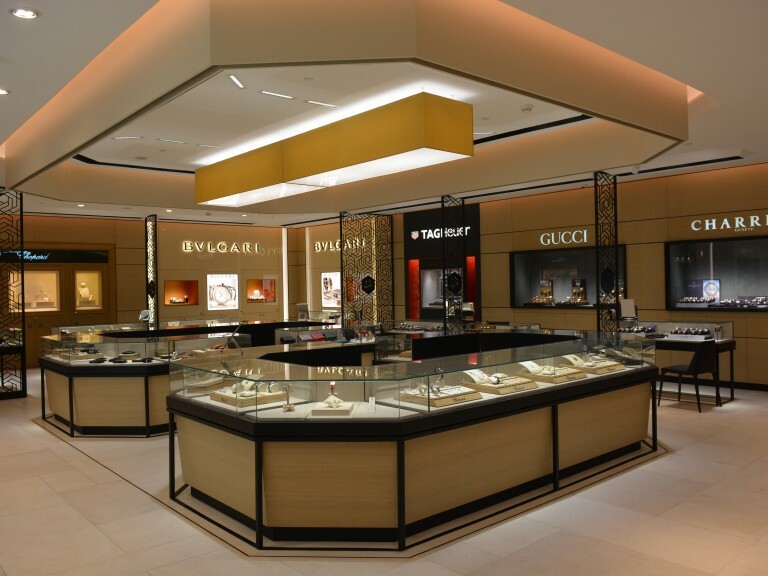 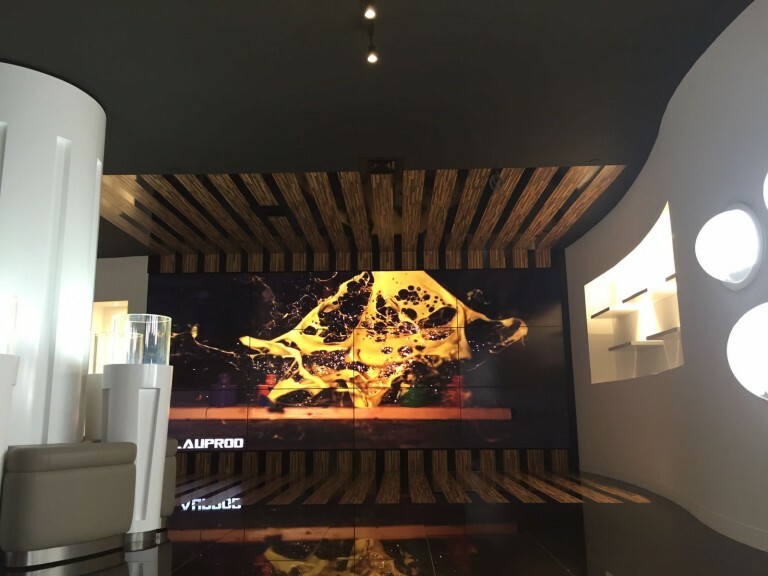 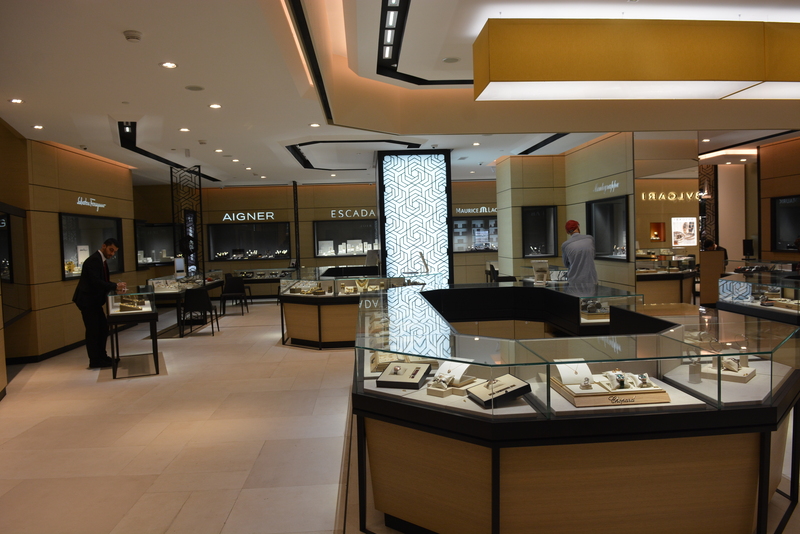 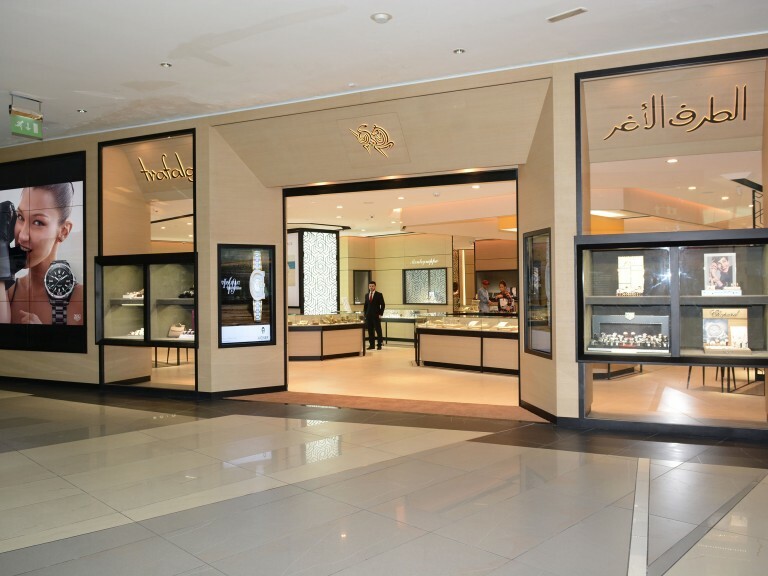 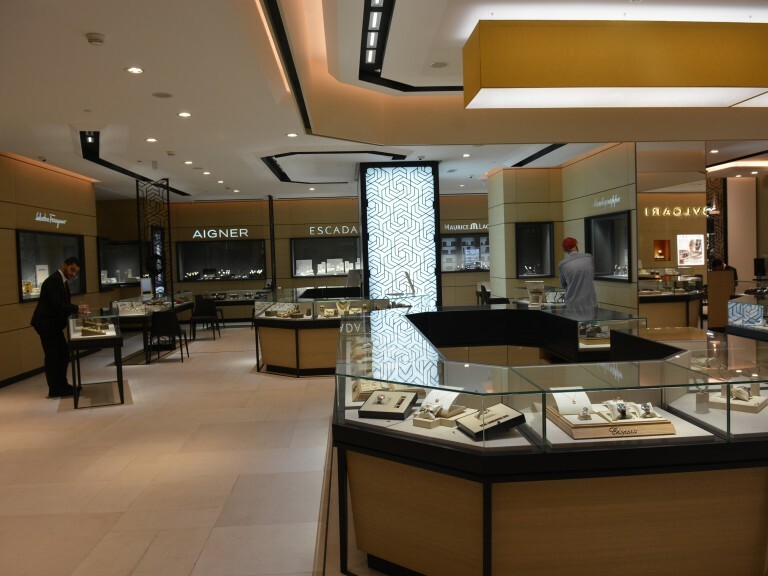 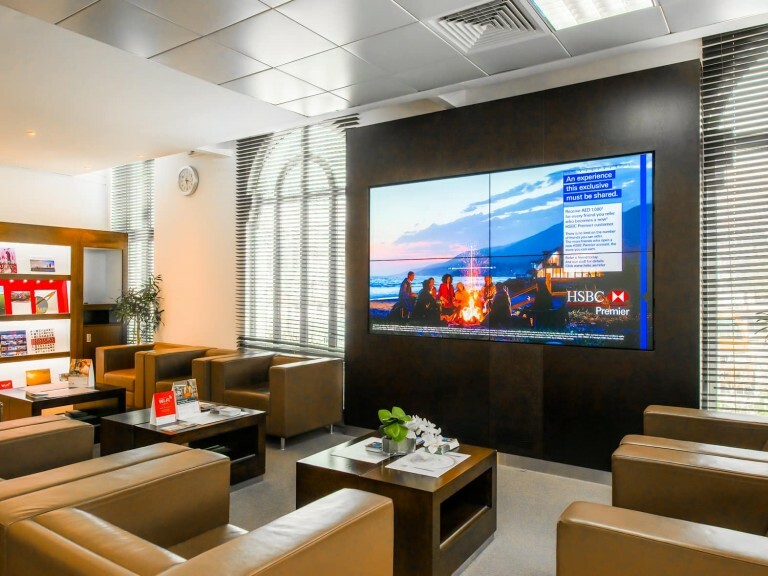 2.0 collaborated with partner DeLite Engineering on a network of full HD displays positioned to reinforce the luxury brands - like Bulgari, Versace and TAG Heuer - available inside the store’s sophisticated, understated environment. 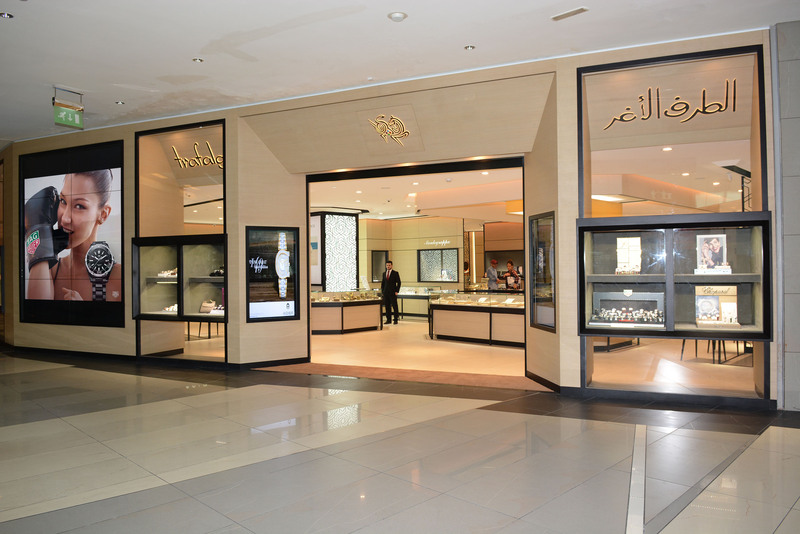 The content is all managed by a browser-based content management system. 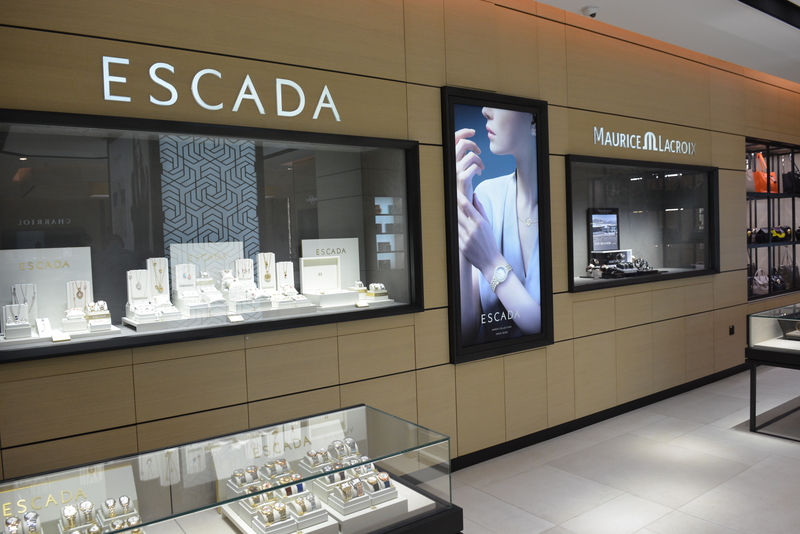 A two wide by 4 high ultra narrow-bezel LCD video wall was fitted into the store’s mall concourse facade to catch the eye of passing shoppers, with moody, soft-sell full HD videos. 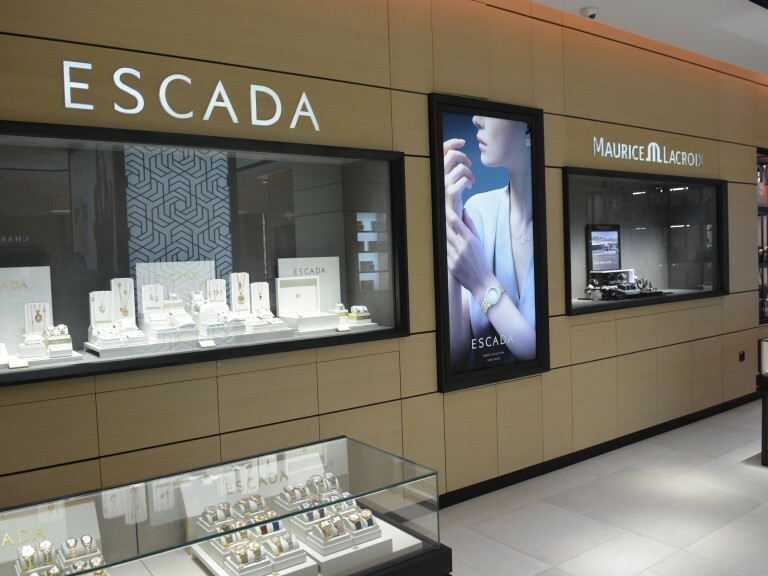 Inside, a pair of HD displays in portrait mode market specific brands with visuals and logos, while other displays set as digital posters are strategically positioned around the store, with custom display surrounds designed to ensure the screens suit the store’s design.